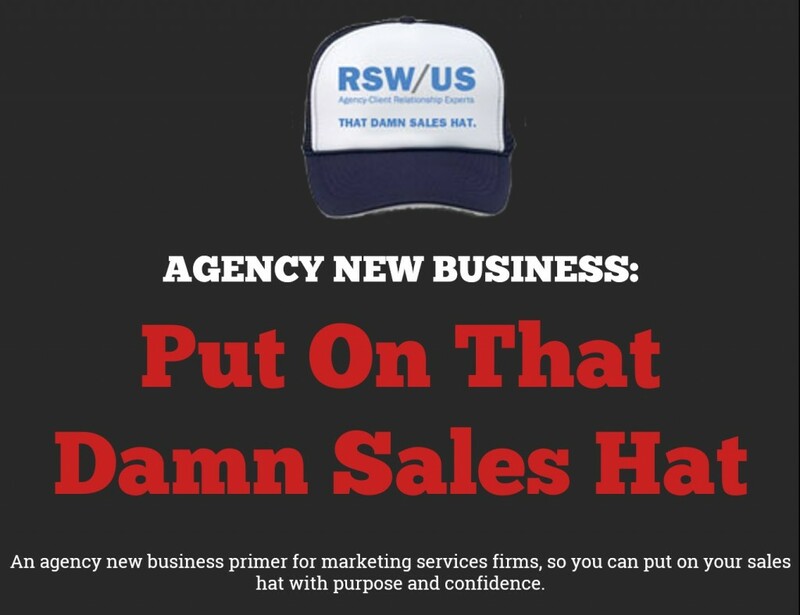 “Put On That Damn Sales Hat” is an agency new business primer for marketing services firms, full of tips to ensure firms wear their “sales hats” with purpose and confidence. Our eBook is based on a blog series of the same name by RSW/US Owner/President Mark Sneider. In it, Mark covers everything from pre-prospecting preparation to working opportunities to close. The majority of the eBook focuses on elements that agencies either often overlook, are too busy to consider, or are not equipped to pursue. With the agency landscape changing rapidly and daily, not only for agencies, but also for clients, doing things the same way won’t cut it. Each chapter provides key highlights from, and links to, each corresponding post on our RSW/US Agency New Business blog.